when i woke up this fine valentine’s day, i was going through my mental checklist of things to gather before bringing kids to pre-school and i realized i had totally forgotten to put together a valentine for their teachers. luckily, i am a hoarder of all sorts of things, so i had a few things on hand to choose from. i am not a huge fan of soda, but on occasion i like to indulge in a fun izze sparkling juice. so, i pulled some from the stash, and grabbed a red and white stripy straw from the stash as well. 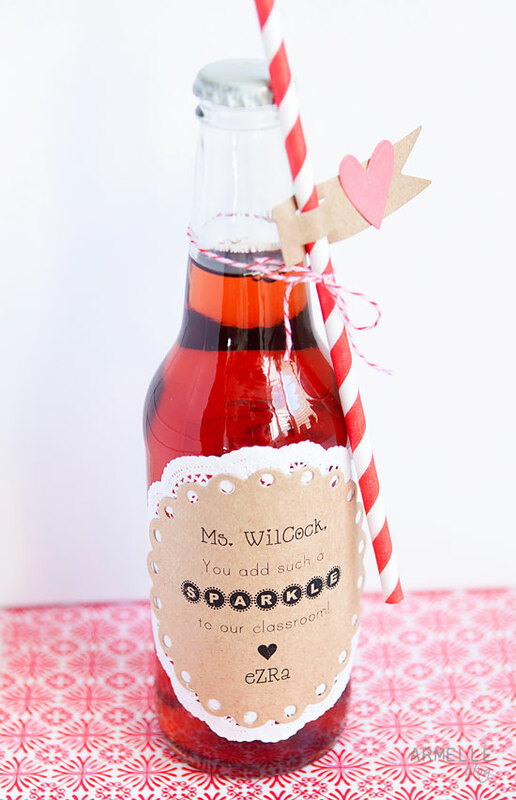 this is a fun valentine gift, or it would also make a great teacher gift any day of the year! it didn’t take me long to make, but i thought it turned out fun, especially for last minute! hope you are enjoying your valentines day! 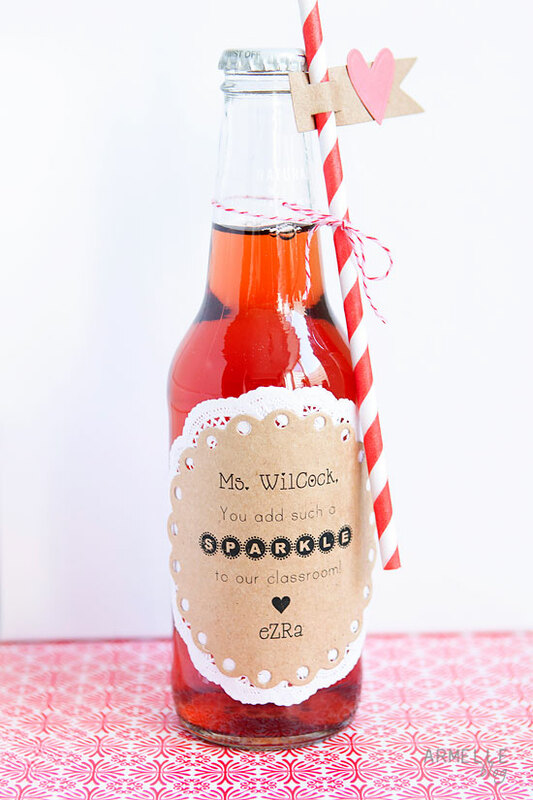 What a great teacher's gift – and I'm sure they are thankful it isn't chocolate. Oh, combining all my loves in one great gift! cutest thing on the block! The idea and the outcome are great! but as someone unfamiliar with Valentine Day's habits (Isreali, Jewish, etc..) I am wondering – is it customary to give your children's teacher a Valentine gift? do other moms do it (or kids?) or is it just you? I thought it was about Romantic love, isn't it?